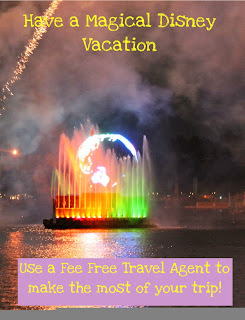 Do you ever wonder why anyone would use a travel agent when you can do it all yourself online? I'm sure many people out there have - but, even a seasoned Disney Veteran like myself, used one for all of my big trips before I became an agent myself. 1. First of all - we're FREE. You heard that. Disney pays us - not you. Your price won't change at all! Whether it is getting quotes, comparing discount, finding the best rates, or tracking your vacation just in case a better deal comes around, we make it happen. Want to book early *in hopes* of Free Dining or another reat offer? You can reserve your room at $200 and be assured that I (or any other agent in my team - I can't speak for everyone else out there) will call Disney the morning that the discount comes up to apply it to your package! Can't remember when to book your dining? Not sure where to eat? At Guru Travel, we offer free itinerary planning - you can talk with our itinerary specialist for an hour or more before your trip to learn the best way to get from Point A to Point B, how to avoid as many lines as possible, and the best way to be efficient! We even make spreadsheets of which parks to go where with all of your specific reservations on them - so you can truly be prepared for your vacation!! With Guru Travel, we send out tips to help you prepare and keep you excited for your upcoming vacation! With Disney-specialized agents, like myself, we love to share our knowledge and excitement with you for your vacation! If you aren't quite ready to book a vacation but would love a daily dose of magic tips, follow our facebook page for our daily Guru Tip! In the past, we've offered every member of the travel party and 'extra day free' for booking a package and NOW, we're offering a great Swag Bag - a Guru Book Bag, lanyards, trading pins, and even Mickey plushes for every child! Still need a reason to use an agent? Book a Disney Cruise Line vacation for early 2014 and you'll be eligible for up to $200 on board credit just for booking with us! Email me at jennl@thewdwguru.com for your no-obligation quote!